EFFECTIVE: OCTOBER 16, 2014 Click to review previous version. The “APPLICATION” consists of: (a) the CBSi mobile application provided in connection with an authorized link to this Agreement, including all software, code, text, graphics, logos, layouts, designs, interfaces, and other items included in or associated with the application; and (b) any files that are delivered to you by CBSi (via online transmission, through a third party distributor, or otherwise) to patch, update, or otherwise modify the CBSi mobile application. 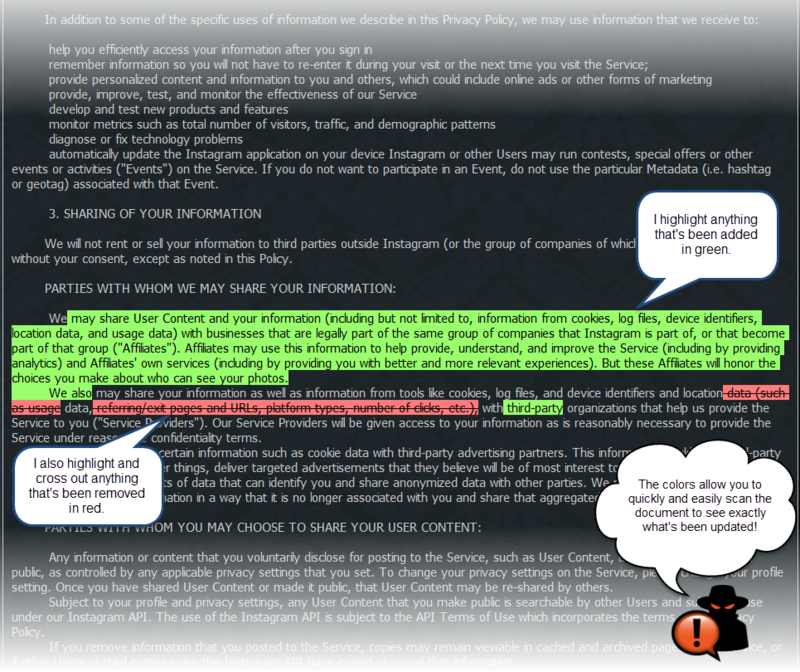 The Application may provide a means for you to access one or more websites, other applications, or other products and services offered by CBSi (collectively, the “SERVICES”), and audio and video materials, photographs, text, graphics, logos, layouts, designs, interfaces, software, data and other content associated with the Services (“CONTENT”). The Application, Services and Content are copyrighted works of CBSi and may contain trademarks, service marks, trade names, and other intellectual property of CBSi. If you are obtaining the Application from a distribution channel such as the Apple App Store or the Android Marketplace (“DISTRIBUTION CHANNEL”), your purchase, if the application is paid, and any subscription, if the Application or its Content requires a subscription, may be subject to additional terms of the Distribution Channel. This Agreement is between you and us only, and not with the Distribution Channel. We, rather than the Distribution Channel, are responsible for the Application and the content thereof. Neither we nor the Distribution Channel has any obligation to furnish any maintenance and support services with respect to the Application. The Application may use location-based services to locate you. If you choose to use the Application, you consent to CBSi and its third party providers determining your location. 1. Changes to this Agreement and CBSi Terms. This Agreement applies to all downloading or installation of the Application after the Effective Date above, and use of any copy of the Application downloaded or installed after the Effective Date above. CBSi may make changes to this Agreement from time to time by posting a copy of the updated Agreement at http://legalterms.cbsinteractive.com/eula. Changes to this Agreement will be applicable to downloading or installation of the Application after the effective date of the changes. If you do not agree with any changes to this Agreement, your sole remedy is not to download or install the Application after the effective date of the changes. CBSi also may make changes to the CBSi Terms as provided therein. Such changes will apply to your use of the Application to access Services and Content after the effective date of the changes. If you do not agree with any such changes, your sole remedy is to discontinue use of the Application to access the relevant Services and Content. If you continue to use the Application to access Services and Content after the effective date of the changes, you accept all changes. 2. Changes to Product and Service Offerings. CBSi or the Distribution Channel may change pricing for the Application, Services and Content. We may not provide price protection or refunds due to price reductions, promotional pricing, or any other changes to pricing for any reason. You acknowledge and agree that CBSi may suspend or discontinue offering the Application; modify the Application; change or discontinue the Services available through the Application; change how we offer and operate such Services (e.g., to begin charging a fee to access features or Content that we previously made available without charge); remove Content; impose limits on certain features or restrict your access to part or all of the Application, Services and Content; or make other changes in CBSi’s product and service offerings at its sole discretion and with or without notice to you. We will not be liable to you or any third party for taking any of these actions and we will not be limited to the remedies above if you violate these CBSi Terms. You further acknowledge and agree that even if a copy of the Application continues to reside on your device, after we make changes in our product or services offerings, the Application may not work as it did prior to such action, and CBSi will haveThis document no liability to you or any third party as a result. You acknowledgelonger exists and agree that CBSi has all right, title, and interest in and to the Application and all intellectual property rights associated with the Application. The Application is protected by the copyright laws of the United States, international treaties and conventions, and other laws. Except as expressly stated herein, you have no intellectual property rights in the Application (including without limitation any rights to use the trademarks, trade names, service marks, logos, domain names, and other distinctive brand features), and CBSi reserves all rights not expressly granted to you. You must comply with all laws when using the Application as well as all applicable copyright, trademark or other legal notices or restrictions. facilitate, create, or maintain any unauthorized connection to the Application, including without limitation: (a) any connection to any unauthorized server that emulates, or attempts to emulate, CBSi’s or its vendors’ servers; and (b) any connection using programs or tools not approved by CBSi in its sole discretion. The Services and Content accessible through the Application are also protected by intellectual property and other laws in the U.S. and in other countries, and are subject to limitations on your use thereof, as set forth more fully in the CBSi Terms. Subject to your compliance with the CBSi Terms and this Agreement, CBSi hereby grants, and you hereby accept, a limited, non-exclusive license to: (a) install the Application on one mobile device owned by you or under your legitimate control; and (b) engage in non-commercial use of the Application. All rights to use the Application are granted on the condition that such rights are forfeited if you fail to comply with the terms of this Agreement. As part of the Application, you may receive push notifications, text messages, MMS messages or other types of messages directly sent to you outside or inside the Application (collectively, "PUSH MESSAGES"). You may control the Push Messages in your device’s or the Application’s settings. Some of the Push Messages may be related to your location or to your use of the Application or Content. Your carrier may charge standard messaging, data and other fees for use of Push Messages, and these fees may appear on your mobile bill or be deducted from your pre-paid balance. Your carrier may prohibit or restrict certain Push Messages and certain Push Messages may be incompatible with your carrier or mobile device. Contact your carrier with questions regarding these issues. You may discontinue Push Messages in your device’s or the Application’s settings or by deleting the Application. We may collect information related to your use of Push Messages. If you have registered for Push Messages, you agree to notify CBSi of any changes to your mobile number, as applicable, and update your account on the Application to reflect this change. The Application may allow you to access and interoperate with third party properties, software applications, and data services (collectively, “THIRD PARTY PROPERTIES”). CBSi does not control any Third Party Properties to which you may connect using the Application and is not responsible for the practices of any third party. You acknowledge and agree that CBSi is not liable for any loss or damage which may be incurred by you as a result of any reliance placed by you on the completeness, accuracy, or existence of any advertising, products, or other materials on or available from Third Party Properties. You acknowledge that the Application may check for updates to the Application that may be available to you. YOUR ACCESS TO AND USE OF THE APPLICATION IS AT YOUR RISK. IF YOU ARE DISSATISFIED WITH THE APPLICATION OR ANY OF THE SERVICES OR CONTENT AVAILABLE THROUGH THE APPLICATION, YOUR SOLE AND EXCLUSIVE REMEDY IS TO DISCONTINUE ACCESSING AND USING THE APPLICATION. The Distribution Channel will not be responsible for addressing any claims by you or any third party relating to the Application or your possession and/or use of the Application, including: (i) product liability claims; (ii) any claim that the Application fails to conform to any applicable legal or regulatory requirement; and (iii) claims arising under consumer protection or similar legislation. If you have any questions on those issues, you should contact us at the address below. The Distribution Channel will also not be responsible for investigation, defense, settlement and discharge of any third party intellectual property infringement claim. CBSi WILL NOT BE LIABLE FOR ANY FAILURE OR DELAY IN THEIR PERFORMANCE DUE TO ANY CAUSE BEYOND THEIR REASONABLE CONTROL, INCLUDING ACTS OF WAR, ACTS OF GOD, ACTS OF THIRD PARTY SERVICE PROVIDERS, EARTHQUAKE, FLOOD, EMBARGO, RIOT, SABOTAGE, LABOR SHORTAGE OR DISPUTE, GOVERNMENTAL ACT, POWER FAILURE OR FAILURE OF THE INTERNET OR COMPUTER EQUIPMENT. CBSi WILL NOT BE LIABLE TO YOU OR ANYONE ELSE FOR ANY SPECIAL, INDIRECT, INCIDENTAL, EXEMPLARY, PUNITIVE OR CONSEQUENTIAL DAMAGES IN CONNECTION WITH THE APPLICATION (INCLUDING THE SERVICES AND CONTENT AVAILABLE THROUGH THE APPLICATION) OR THIS AGREEMENT, EVEN IF FORESEEABLE OR EVEN IF CBSi HAS BEEN ADVISED OF THE POSSIBILITY OF SUCH DAMAGES (INCLUDING, WITHOUT LIMITATION, WHETHER CAUSED IN WHOLE OR IN PART BY NEGLIGENCE, GROSS NEGLIGENCE, OR OTHERWISE, BUT EXCLUDING WILLFUL MISCONDUCT). IN NO EVENT WILL CBSi’S LIABILITY FOR OTHER DAMAGES EXCEED THE AMOUNT PAID BY YOU TO ACQUIRE THE APPLICATION. THE FOREGOING LIMITATIONS WILL APPLY EVEN IF ANY STATED REMEDY FAILS OF ITS ESSENTIAL PURPOSE. You will indemnify, defend, and hold CBSi and all of its officers, directors, owners, employees, agents, information providers, service providers, vendors, contractors, affiliates, partners, and licensors (collectively, the “CBSI PARTIES”) harmless from and against any and all liability, losses, costs, and expenses (including attorneys’ fees) incurred by any of the CBSi Parties in connection with any claim, including, but not limited to, claims for defamation, violation of rights of publicity or privacy, copyright infringement, or trademark infringement arising out of: your use of the Application; any use or alleged use of your account or your passwords by any person, whether or not authorized by you; your connection to CBSi’s or its vendors’ servers; your violation of this Agreement; or your violation of the rights of any other person or entity. CBSi reserves the right, at its own expense, to assume the exclusive defense and control of any matter for which you are required to indemnify CBSi, and you will cooperate with CBSi’s defense of these claims. This Agreement is effective until terminated. You may terminate this Agreement at any time by: (i) irretrievably erasing, deleting, or destroying all copies of the Application in your possession or control; and (ii) ceasing to use the Services and Content available through the Application. CBSi may terminate this Agreement at any time for any reason or no reason. However, if you paid CBSi or its authorized Distribution Channel to acquire the Application, and we terminate this Agreement within one year after you made your payment for reasons other than your breach of this Agreement or the CBSi Terms, we will refund a prorated portion of the purchase price corresponding to the portion of such one year period for which our action caused you not to be able to use the Application. Upon termination for any reason, the license granted in Section 4 will immediately terminate. The provisions in Sections 1, 2, 3, 5, 6, 7, 8, 11, 12, and 13 will survive any termination. You will not ship, transfer, or export the Application into any country or use the Application in any manner prohibited by the United States Export Administration Act or any other export laws, restrictions, or regulations (collectively, “EXPORT LAWS”). You represent and warrant that you are not a citizen of, and are not located within, a country that is subject to a U.S. Government embargo, or that has been designated by the U.S. Government as a “terrorist supporting” country, and that you are not otherwise prohibited under the Export Laws from receiving the Application. This Agreement and all claims arising from or related to your use of the Application will be governed by and construed in accordance with the laws of the State of California, except California’s conflict of law rules. This Agreement and the Application will not be governed by the United Nations Convention on Contracts for the International Sale of Goods, if applicable. With respect to any disputes or claims not subject to arbitration (as set forth below), you agree to exclusive jurisdiction in the state and federal courts in San Francisco, California. Notwithstanding any other provision of this Agreement, we may seek injunctive or other equitable relief from any court of competent jurisdiction. If you have any dispute with or claim against us or any of our affiliates (a “CLAIM”) arising out of or relating to the Application or this Agreement, and the claim is not resolved by calling our customer service department at (877) 814-7002, you and we each agree to resolve such disputes through an individual binding arbitration or an individual action in small claims court. Class arbitrations and class actions are not permitted, and your Claim may not be consolidated with any other person’s claim. You and we agree that the U.S. Federal Arbitration Act governs the interpretation and enforcement of this provision, and that you and we are each waiving the right to a trial by jury or to participate in a class action. This Section 12 shall survive termination of this Agreement or any subscription that you may have to receive Content. Before you commence an arbitration or file a small claims court action with respect to your Claim, you must first send to CBS Interactive a written notice of your claim (“NOTICE”). The Notice must (1) be sent by certified mail; (2) be addressed to: CBS Interactive, 235 Second Street, San Francisco, CA 94105 Attn: Legal Department; (3) describe the nature of your Claim; and (4) specify the damages or other relief you seek. If we and you do not then resolve the Claim within 30 days after our receipt of your Notice is received, either you or we may commence an arbitration or file a small claims court action to resolve the Claim. Any such arbitration shall be administered by the American Arbitration Association and be conducted in accordance with its Commercial Arbitration Rules, including the Consumer-Related Disputes Supplementary Procedures, if applicable (the “RULES”). Contact information for the American Arbitration Association, as well as copies of the Rules and applicable forms, are available at www.adr.org. In circumstances in which the Rules provide for an in-person hearing, such hearing will, at your request, take place in the U.S. county (or parish) of your residence, or otherwise in San Francisco, California. For any non-frivolous Claim that does not exceed $50,000, CBS Interactive will pay all costs of the arbitration, and reimburse any filing fees you may be required to pay. If the arbitrator awards you damages that are greater than CBS Interactive’s last written settlement offer communicated before commencement of the arbitration, CBS Interactive will pay you the greater of $1,000 or the amount of the award. This Agreement constitutes the entire agreement between the parties with respect to its subject matter and supersedes any prior oral or written agreements, provided, however, that this Agreement will coexist with the CBSi Terms and any Additional Terms. To the extent that the provisions of this Agreement conflict with the CBSi Terms, this Agreement will govern. We may be required by state or federal law to notify you of certain events. You hereby acknowledge and agree that such notices will be effective upon our posting them on our sites or delivering them to you via email, if you have provided it to us. If you do not provide us with accurate information or we do not have access to your email address, we will not be responsible for failure to notify you. If any part of this Agreement is determined to be invalid or unenforceable under applicable law, that provision will be removed, and the remainder of the Agreement will continue to be valid and enforceable, except as expressly stated. Our failure to exercise or enforce any right or provision in this Agreement will not constitute a waiver of such right or provision. Except as otherwise required by law, the controlling language of this Agreement is English. This Agreement will be binding upon and will inure to the benefit of the parties, their successors and permitted assigns. You and we acknowledge and agree that the Distribution Channel and its subsidiaries are intended third party beneficiaries of this Agreement and will have the right (and will be deemed to have accepted the right) to enforce this Agreement against you. You hereby acknowledge that you have read and understood this Agreement and agree that by clicking “ACCEPT” or by installing, copying, or using the Application you are acknowledging your agreement to be boundarchived by this Agreement.Paranoid Paul.